If you not already know, I’m a sucker of Audiobook. I listen to them on my commute to work, before going to bed or anywhere when I get some free time. Yes, one never gets the good old paperback feeling from a digital Audiobook, but I prefer the convenience to listen to my favorite book anywhere I want, over the nostalgic smell of new books. That said, I’ve been an Audible subscriber for past 2 years and if you follow me on YouTube, you might have seen me recommending in the end of my videos. 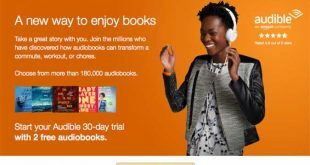 Now, the way Audible works is, once your first-month free trial expires, you have to pay $15 monthly subscription which gets one credit for a free book each month. 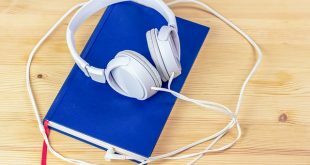 This is good for most people, however, if you don’t listen to a lot of audiobooks on Audible, then here is how you can save some money. This secret plan costs $15 every two months, and you’ll get 6 credits in a year instead of 12. Which means you’ll be charged every alternative month. It’s almost similar to cancel your subscription and restarting it every alternate month. But If you cancel your Audible subscription entirely, you lose all the unused credit you have. So, if you are having a tight month, the silver plan makes more sense. So, how do you get this? Well, unfortunately, there is no direct one option to do it. You’ll have to contact Audible by chat, phone or email. And Audible has right to turn you down or cancel this offer any time in future since they don’t advertise this plan. But chances of happening that is pretty slim. 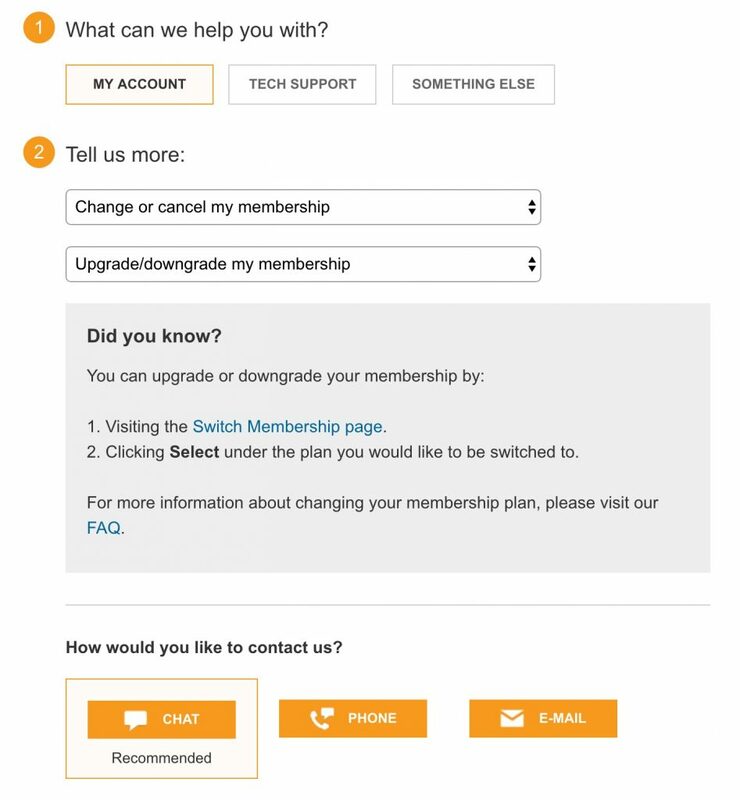 To make sure you reach the right person, go to My Account > Change or cancel my membership > Upgrade/downgrade my membership. The alternative, if you are saving for a rainy day, and want to take a small break from Audible (I know it can get pretty expensive) then place your account on hold instead of canceling your subscription. Every Audible user can do it for 3 months once every 12 months for a duration. Unlike canceling your subscription putting it on hold will preserve all your un-used Audible credits. Again, to place your account on hold, you’ll have to contact Customer Care. 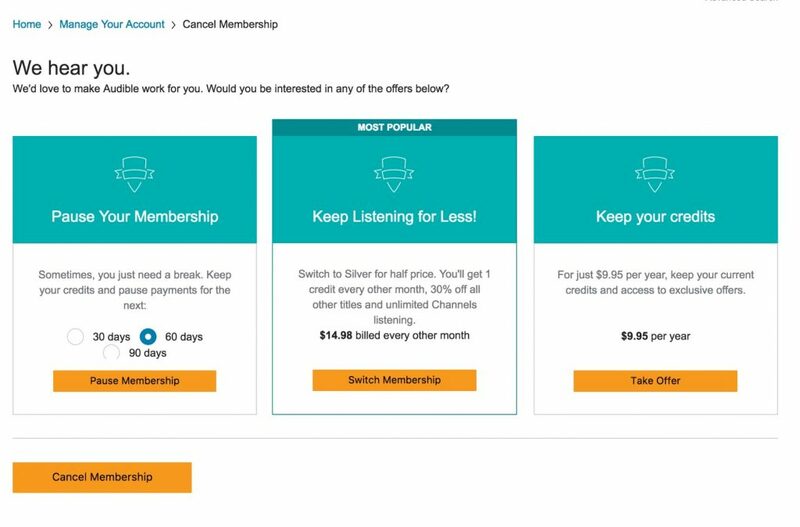 Edit: You can also find these option when you cancel your Audible membership. No need to contact customer care.